With it being a snow day, I thought I would do some projects! First thing I did was make laundry detergent. I have been wanting to try my own for a little while now. I have had the ingredients for a few weeks but haven’t taken the time until today. 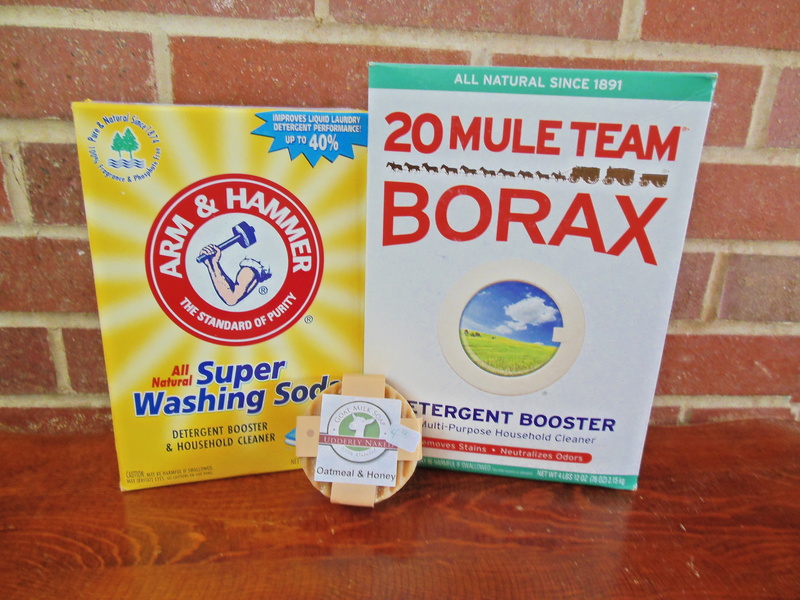 Shred the soap add the borax and washing soda and you’re done! So easy! 1 to 2 tablespoons per load depending on size. I originally wanted to keep it in a cute jar, but because I have to walk to the laundry room in my apartment complex I figured a glass container would be a bad idea. Good thing plastic was made! Because I have never used homemade detergent, I asked what to do for fabric softener. Her suggestion was vinegar. It will rinse clean and won’t leave residue, about a half cup will do (depending on size). She also has felted dryer balls to use instead of dryer sheets. If you want to make your own detergent with goat’s milk soap or would like to try out the dryer balls, she has an Etsy shop. I can’t wait for laundry day to try my new detergent! Well my snow day has been productive thus far. I am also crocheting today and of course… doing homework. So thankful for this day off! I am pretty excited to share with you today! I made my first change in the apartment. What did I do? 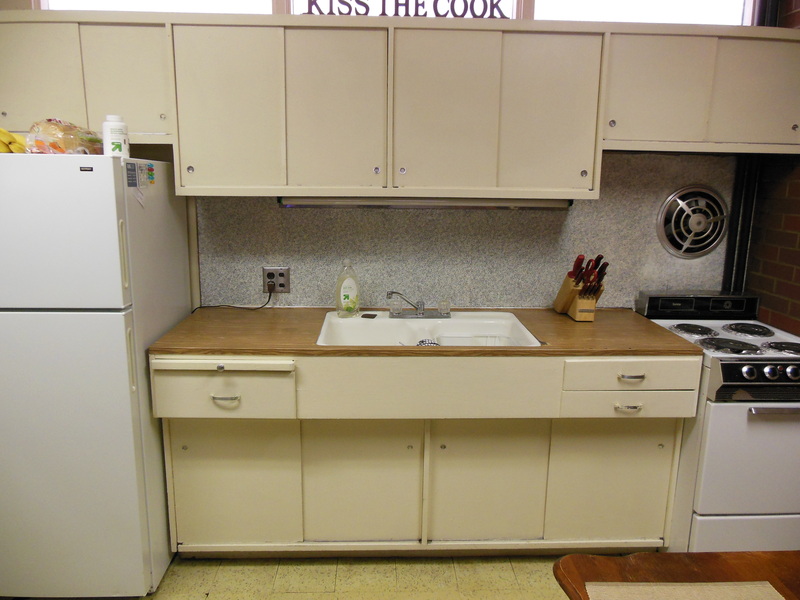 I took out all the cabinet doors in my kitchen! Ugh, they were so difficult to deal with. They were sliding doors so I could only get to half of a cabinet at a time. Plus, they would get stuck and I had to take more time moving and fixing doors than getting dishes and ingredients out. My fix? Curtains. 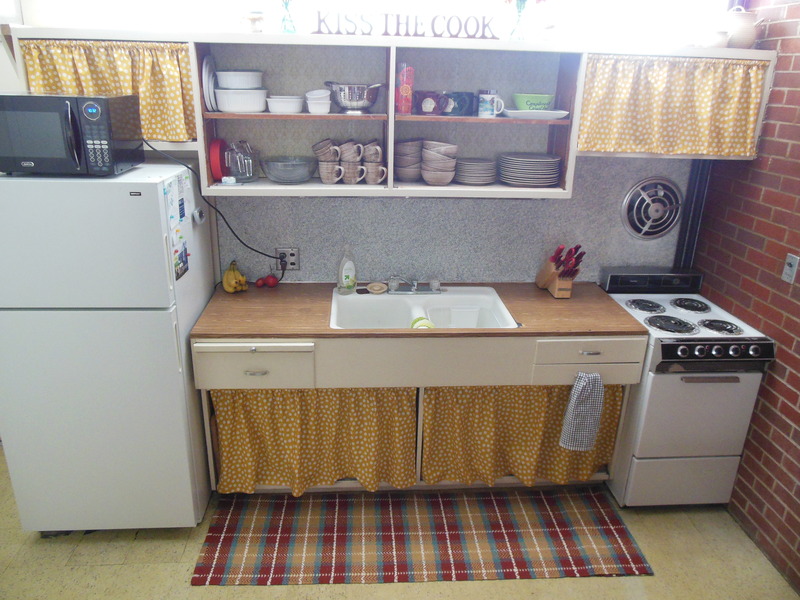 Because I live in an apartment, I can’t fully renovate my kitchen (and don’t have the money to). Curtains were really the only choice I had other than leaving all the cabinets open. Lucky for me, curtains are low cost! I don’t sew very often so my mom helped me measure and decide how much fabric I needed. To hang them, I chose spring rods (also low cost) so that I could take them all the way off if I had a lot of cooking and baking and didn’t want any hassle. 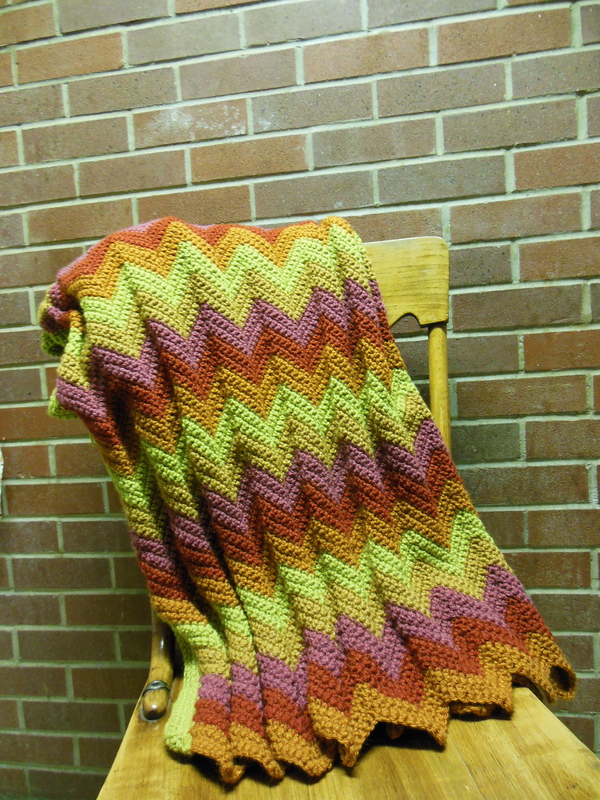 When I sewed, I kept the salvage on and just folded the part over enough to be able to slip it on the rod. These curtains are the first project I have completed on my own sewing machine. So proud! Oh! And I added a rug! It helps break up the yellowing tile. 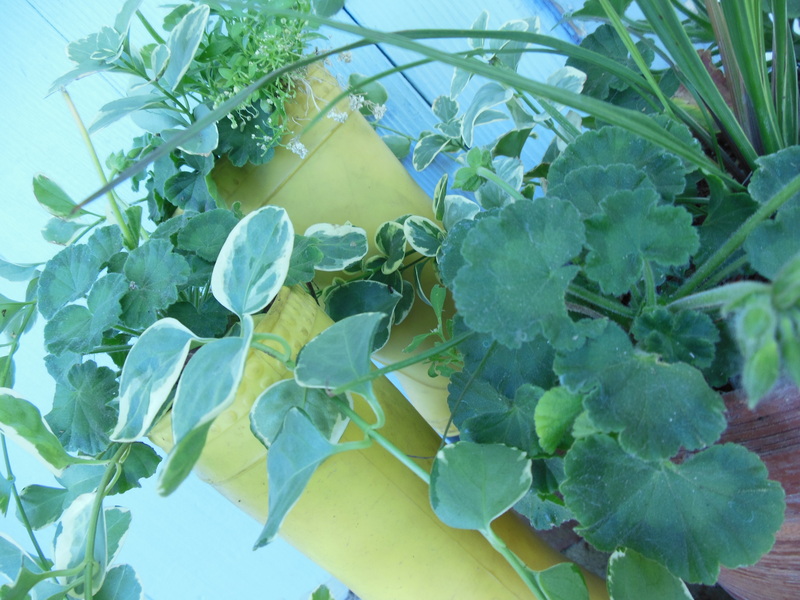 I hope this gives you some ideas for a simple low cost project for your home! Everyone has a signature. Not only the way they sign their name but also their personal style. As soon as our parents let us dress ourselves we begin to experiment with our appearance. 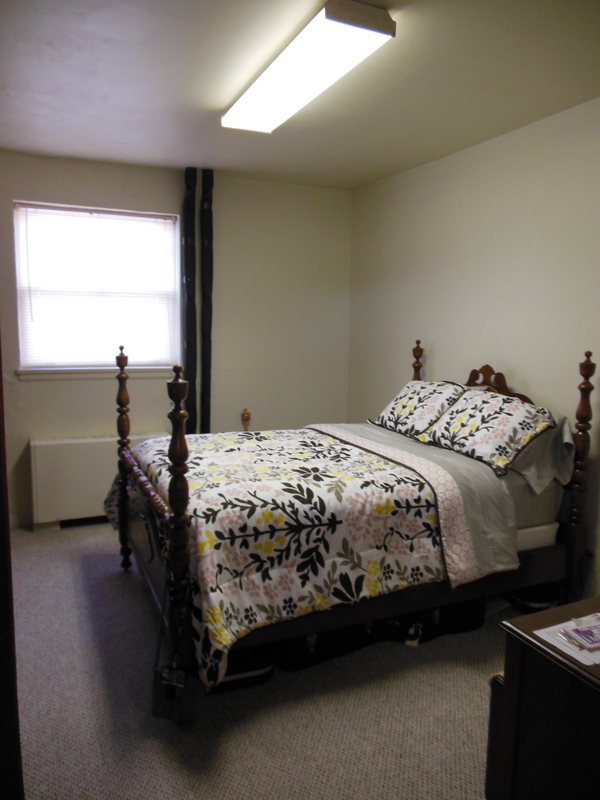 Our parents might even let us decorate our bedroom. When I was in 4th grade, I had my room painted a bright sunshine yellow. 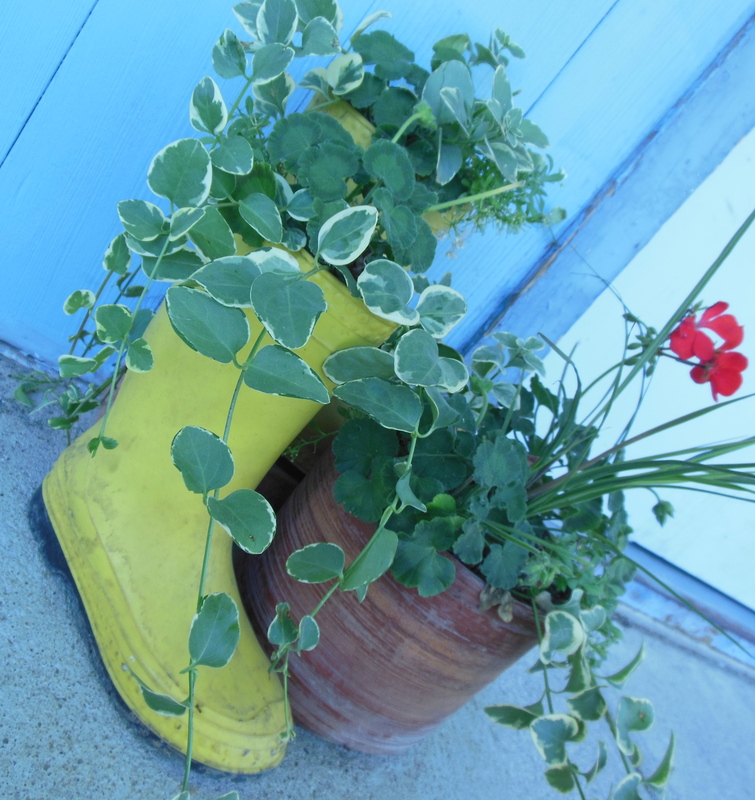 My mother stenciled a white picket fence along one wall. Intertwined in the posts were tulips, lady bugs, and butterflies. My signature decorating wise hasn’t changed all that much. Well, I don’t want a fence on every wall but I still like that cottage, garden feel. Nathan and I have had our apartment for a month now. We have lived together for just over two weeks, wow, we are actually married! Ok so our apartment isn’t the worst, but it isn’t the most ideal either. I just thank God for putting a roof over our heads. The moment I first saw our apartment I thought “How am I going to live here?” Courtney had a great comment that summed up how it looks “dormy”. 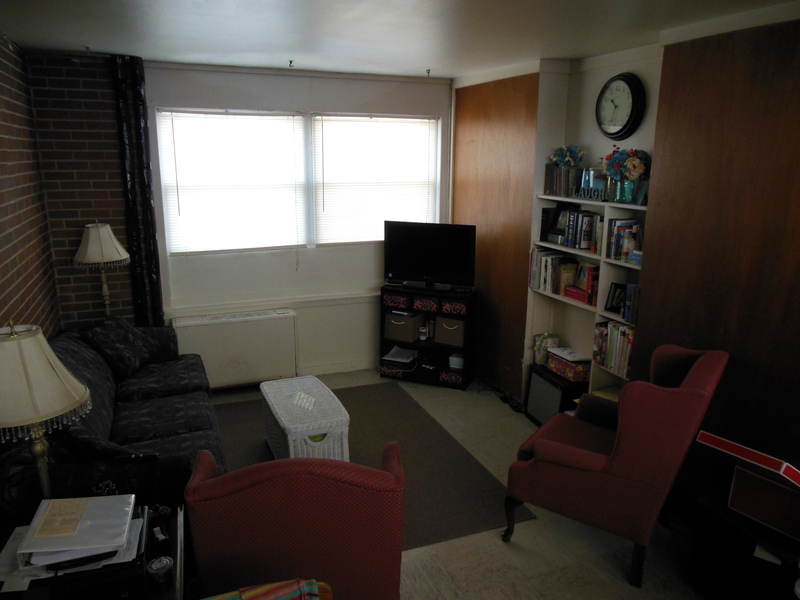 But as soon as our furniture and belongings were moved in, it already felt like more of a home. 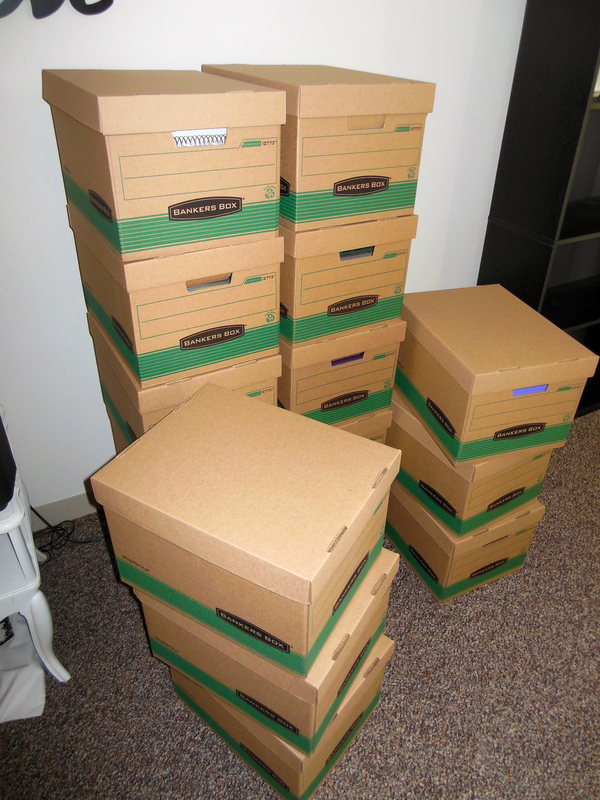 Now that we are almost settled in, I am ready to start putting our signature on it. 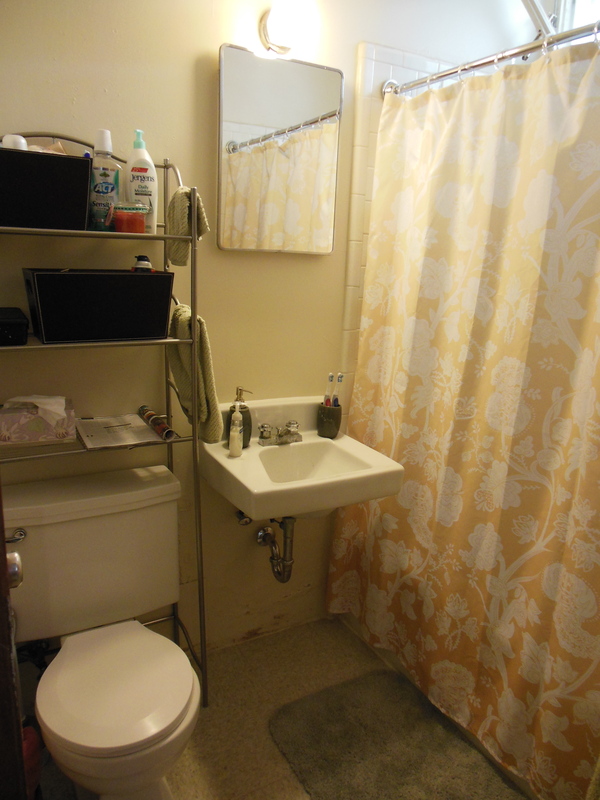 I might not be able to repaint or change out flooring, but I can do a lot with staging. I am hoping to share with you how I adapt our apartment to Nathan and my style as we continue to get used to married life. Be ready for the little changes to come! 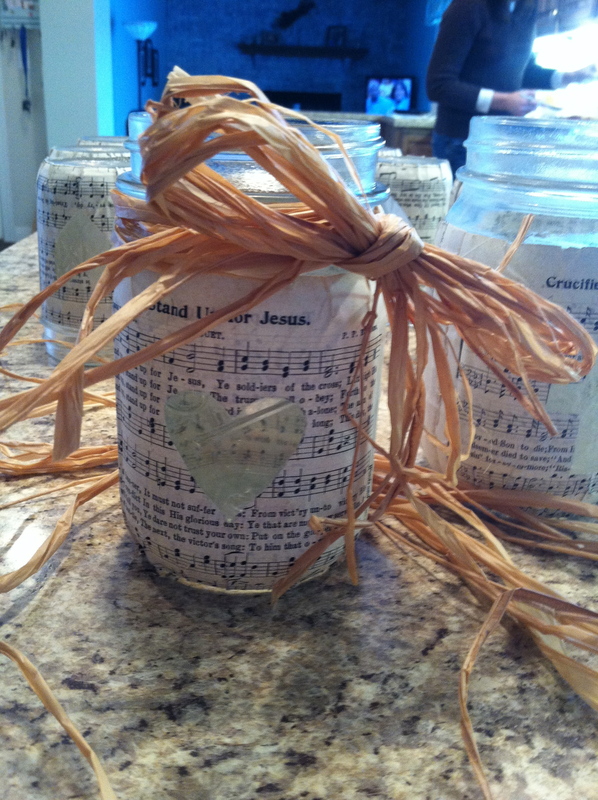 Since wedding planning I have been looking for more ways to use mason jars. Centerpieces from the reception have now found themselves a home throughout our apartment. 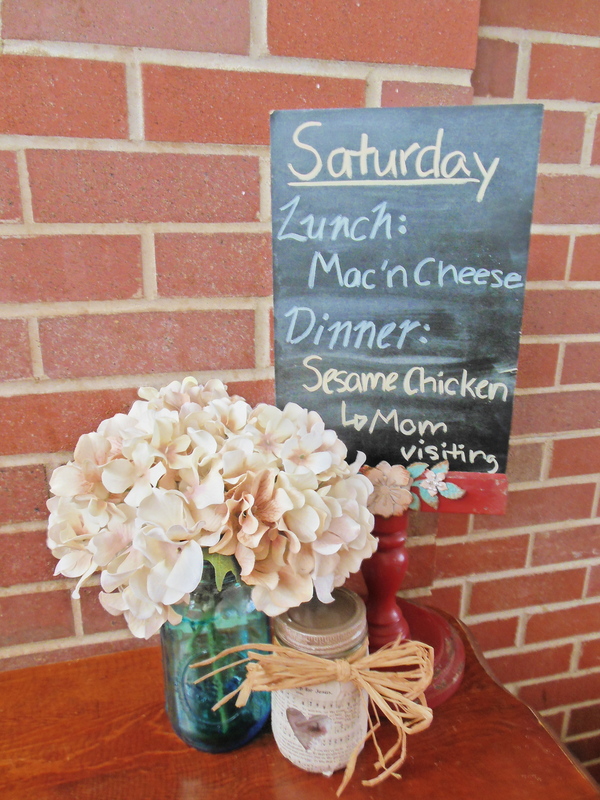 I want to show you another way to dress up a mason jar! These adorable candle holders were used at our the rehearsal dinner and then given as gifts to those involved (leftovers are also sitting around our apartment!). Of course I can’t explain how to craft them without the supplies! Alright let’s get started! 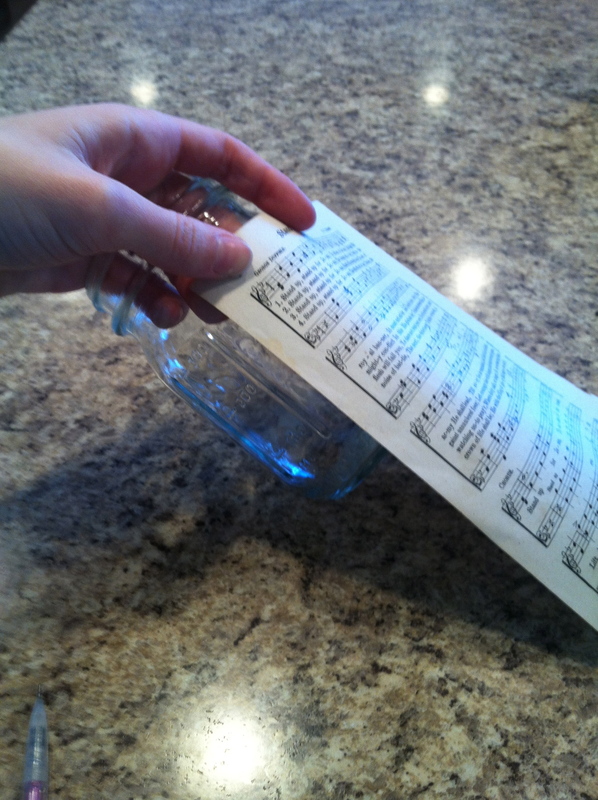 First thing to do is fit the page to the jar (figure 1). I ended up being able to use only one page per jar. 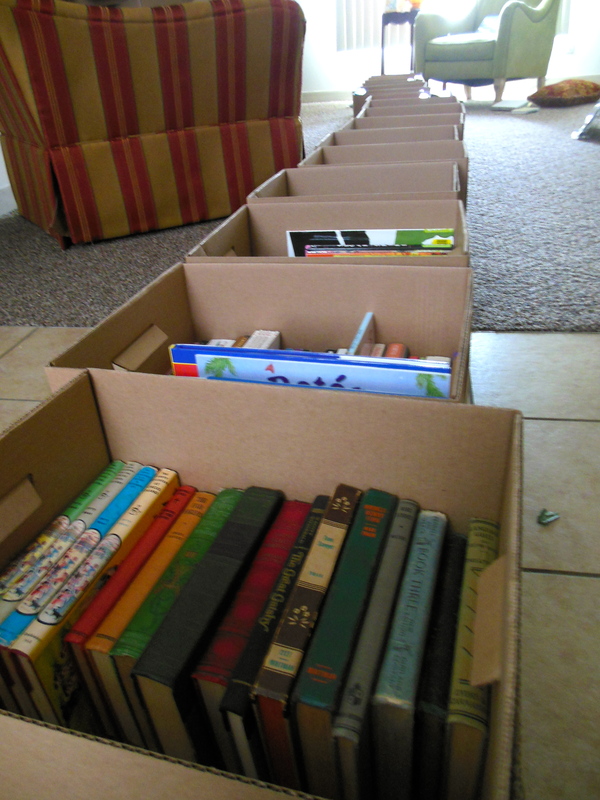 Depending on the size of jar and book you are using this may differ. 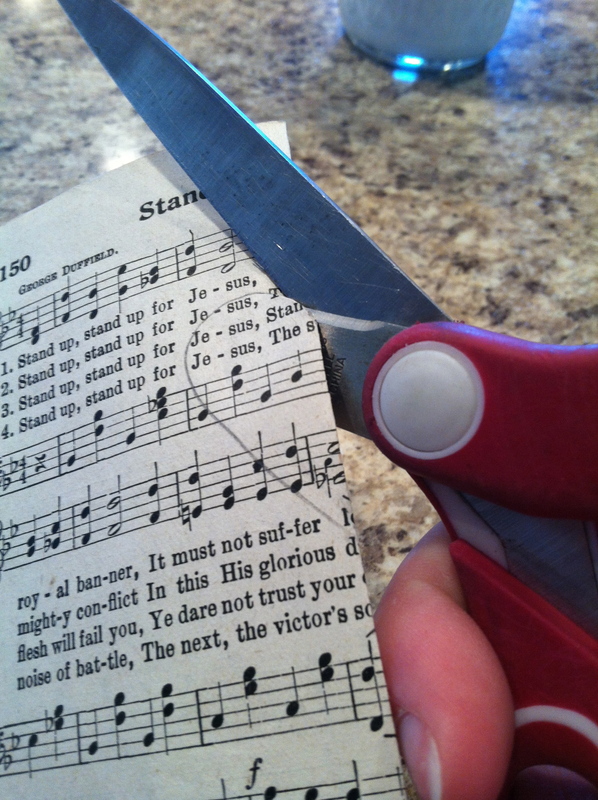 Cut the page to the correct size and voila! Step one done. I went back to elementary school by folding the sheet of paper and cutting half of a heart (figure 2). Of course, you can use any shape you would like that is symmetrical. I chose a heart because it was wedding related. Just mix equal amounts together and you have a mod podge like substance. Remember to store it in an air tight container. 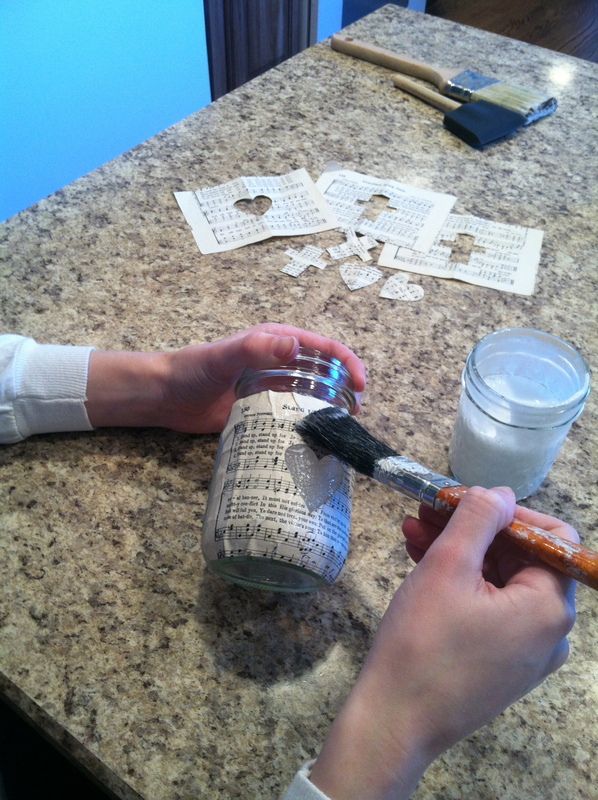 Now, use an old paint brush to paint a layer of mod podge onto the jar (figure 3). 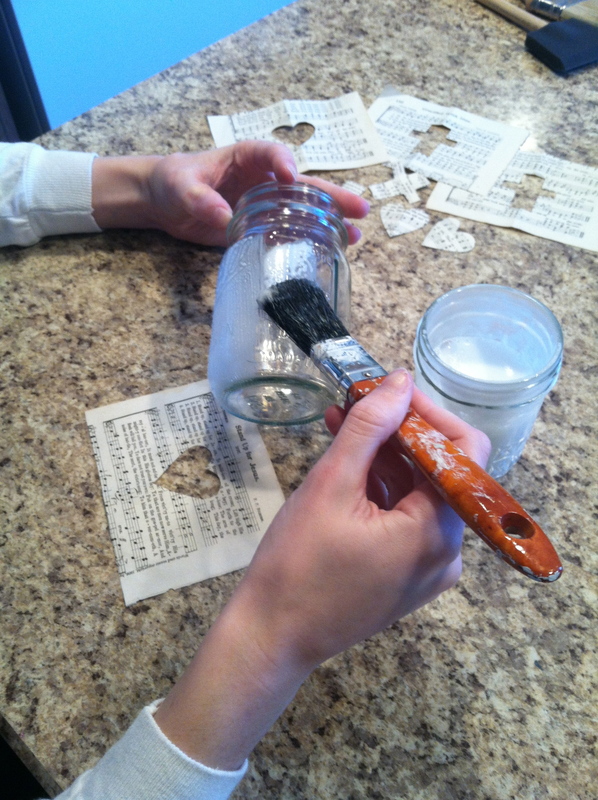 Place one of the cut pages onto the jar and move it into position. Paint another layer of mod podge on top of the pages to harden them (figure 4). This layer will also help to insure the placement. Let it dry. Once the mod podge is fully dried, tie a few pieces of rafia in a bow around the neck of the jar (figure 5). I think it adds a nice comfortable touch! You are now ready to fill the jar. 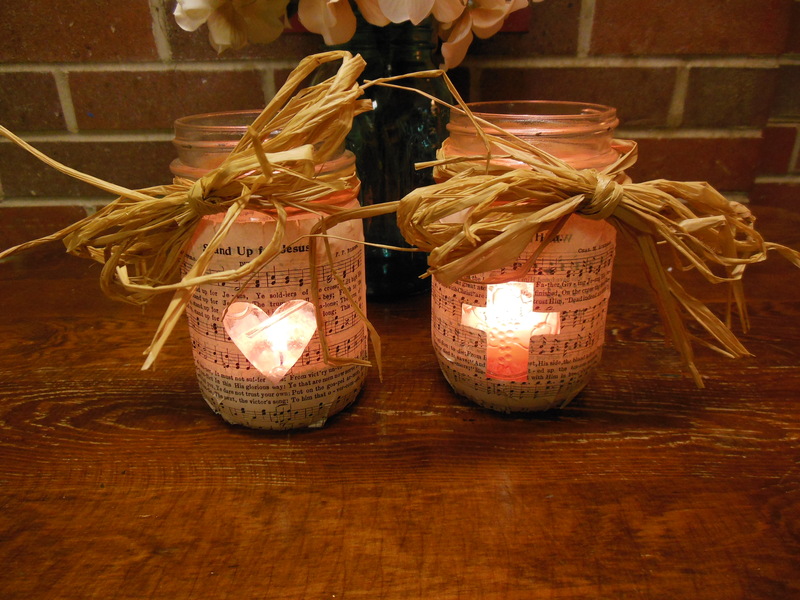 Warm up a hot glue gun and use it to secure a votive candle in the center of the jar. 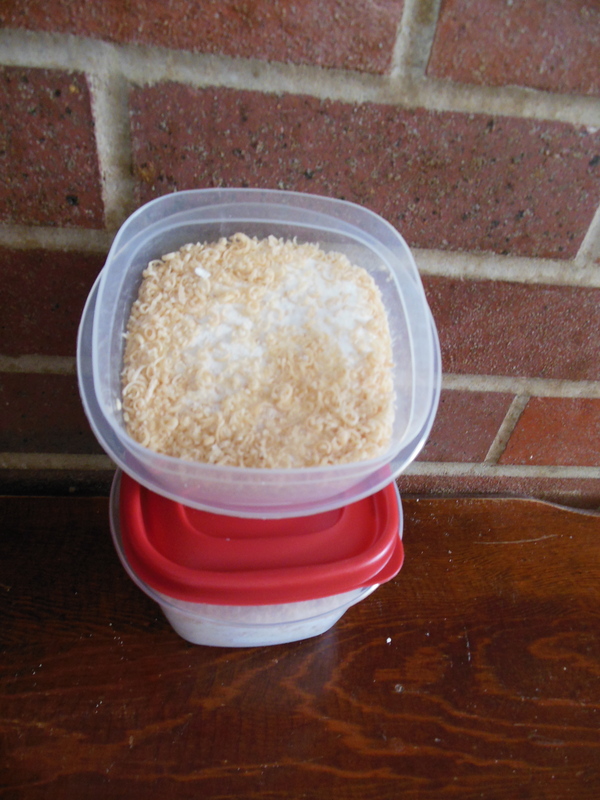 While the glue is hardening you can decide what to do with your Epsom salt. Some of my jars have a red candle and white salt while others have a white candle and red salt. If you choose to color your salt all you need is food coloring. Add drops and mix until you like the color. As soon as you fill salt around the candle, you have a finished project! This project has so many simple alterations to make it more personal. You can choose a favorite song sheet, poem, or book. Because I gave mine as gifts, I used a heart I cut out and glued it to the bottom with our initial and date of marriage. I would love to hear below how you would make it!